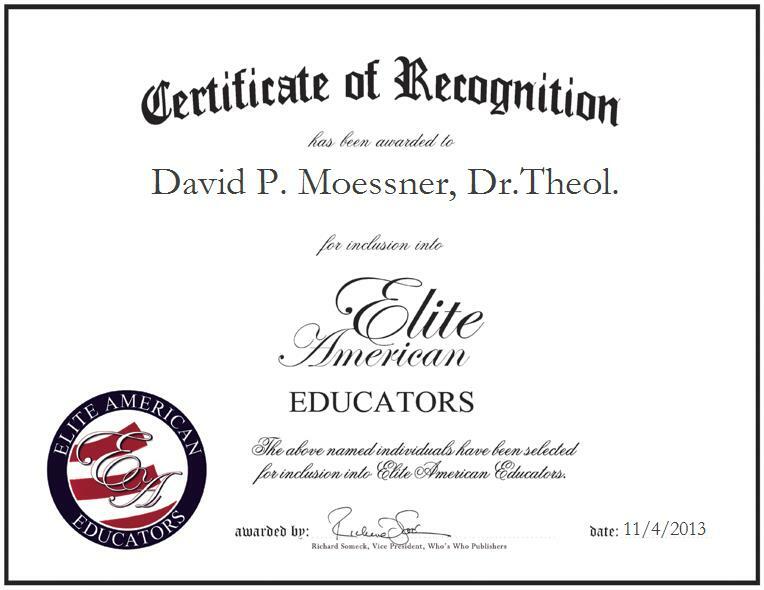 Professor David Moessner is an educational professional who has garnered 31 years of industry experience. For the past 16 years, he has served as the AA Bradford Chair at Texas Christian University and as an honorary professor at the University of Pretoria, South Africa. Professor Moessner is known for his expertise in religious education and spiritual enlightenment. In his positions, he is responsible for teaching biblical theology to a mostly Protestant student body, as well as students from other Christian sects, relating the Old and New Testaments, relating Greek text, teaching theology and the emergence of Christianity from Judaism within the Greco-roman culture, and teaching interpretive courses and the theologies of the gospels. Aside from his work at the universities, Professor Moessner has published articles on the Gospels focusing on why early religious writers wrote in the form of a manuscript and how their methods evolved into more of a narrative form. He has also conducted extensive research in theologies of the Gospels, the relation of Luke and Acts, and the relation of narrative Christology to the narratives of the Old Testament. A highly educated professional who holds a Doctor of Theology, Professor Moessner attributes his success to his passion for his profession and to his belief in a distinct calling to educate others. In the near future, he hopes to continue publishing, and traveling and lecturing around the world.